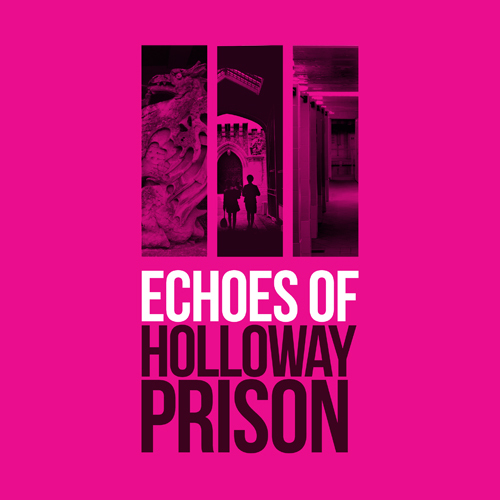 To mark the end of the Echoes of Holloway Prison exhibition and events programme, we held a closing event for all the volunteers who contributed to the project at Islington Museum. The project traces the story of the prison from its beginnings to its closure in summer 2016 through the voices of those who were held and worked there. The closing event was not only a chance to celebrate the project and our hard work, but for everyone involved to have their say. We reflected on specific objects and oral history stories, sharing moments or voices which had particularly impacted our understanding of Holloway’s story. Perhaps one of the most insightful parts of the session, besides the pizza, was collating everyone’s impressions on women in prisons before and after the project. Some of the most common themes arising from the pre-project section included: our ideas being based on popular TV shows like‘Bad Girls’ or ‘Orange is the New Black’; a focus on single women; a sense of a ‘gap’ in our understanding of what lay behind Holloway’s walls; an awareness of the suffragettes held at the prison; and a focus on aesthetics, including assumptions about the coldness and harshness of the building itself. While in stark contrast, ideas that resonated among the group post-project were the increasing need for support and empathy for these women, particularly surrounding mental health services; the complexity of understanding women in prison; a wider understanding of the reasons women are sent to prison; a sense of community, creativity and the support network many women received while at Holloway; and new ideas of motherhood and the ongoing challenges facing mothers in prison. But perhaps most importantly, volunteers expressed that they had developed a much deeper awareness of the voices and personal experiences of ordinary women held by the prison, and an acceptance that these can sometimes be the easiest to ignore and the most difficult to hear. While we could not offer definitive answers to the broad social issues raised during the session, we were able to meet a consensus that whatever Holloway and prisons more generally are used for, our main focus should be on the personal experiences of the women held there. This fits perfectly with the overriding purpose of the project, and we agreed that our work now should be answering how to carry the power of these personal connections to the wider community and make sure these women’s voices continue to be heard.